Teachers are supposed to be our children's second parents. But what would you do if you find out that one of your kid's teachers has been getting his hands all over your precious daughter? Upon learning that this happened to his daughter multiple times, Salvador sought the help of Action Man Raffy Tulfo. Salvador's daughter narrated how one of her teachers in Tondo National High School violated her multiple times. The girl was understandably distraught, and she struggled to tell her story in between sobs. Raffy Tulfo wasted no time and got the teacher on the line, along with the school's principal. He was irked with the principal branding the girl's story as mere "rumors." Principal Valenzuela received quite a lengthy lecture from Raffy who told her to man up and lead the investigations instead of reducing them to just rumors. 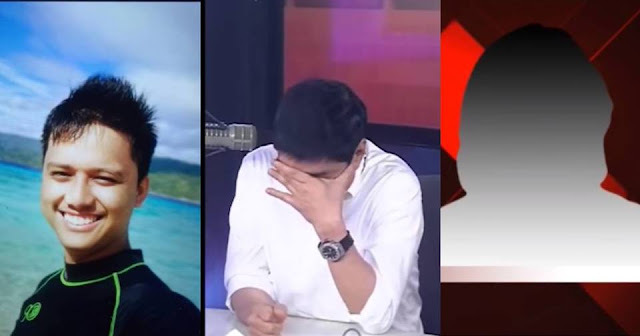 Raffy Tulfo could not hide his disgust and frustration upon hearing more from the victim. The complainant said there were witnesses to what the teacher has been doing to her. Her classmates saw with their own eyes how Westley Cleofas would get the girl drunk so he could in turn get his way with her. Breaking down, the girl softly cussed at her teacher-- a sign that she was finally ready to fight back. Of course, the so-called educator got a good deal of berating from Raffy Tulfo. He said the teacher was lucky it didn't happen to his daughter. "Kung sa anak ko nangyari ito, hindi ko alam kung saan ka pupulutin." To the end, Westley denied the allegations. Raffy however believed that with multiple witnesses, they actually have a solid case against the man. Raffy was still able to keep his composure for a long time, until such time that Tatay Salvador directly addressed his daughter's predator. At this point, Raffy could no longer keep his tears at bay with the heartbroken pleas of a hurt father. "Anong kasalanan namin sa iyo? Anong kasalanan namin sa eskwelahan na 'yan? Nagpapakahirap kaming pag-aralin 'yung anak namin dahil may mga pangarap siya, pero sinira mo ang buhay niya." There wasn't a single dry eye in the room at this point. The father was so mad but was so helpless-- he doesn't know what to do given the horrors that his daughter had experienced. Again, this drove Raffy Tulfo to tears, prompting him to vow that the family would get justice from this teacher. Soon, the public affairs show got in touch with authorities who promised that Westley Cleofas will pay for his wrongdoings.